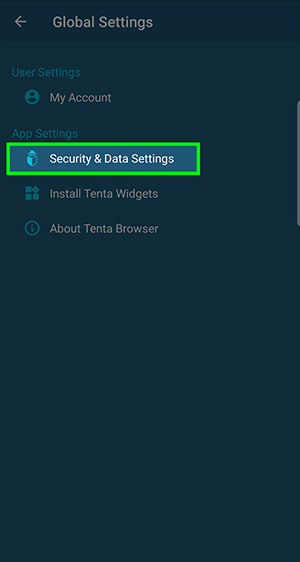 To continue using Tenta Browser, you can install Tenta again from https://tenta.io or Google Play to start over. Why doesn't Tenta store my PIN? Your PIN code is your first line of defense against anyone with physical access to your device - kids, snooping friends, thieves, overreaching authorities, and more. Since only you know your PIN code, no one can open your Tenta Browser app and see your private information. Additionally, since we do not log or store any user data and we do not store any passwords on any servers, we are unable to compromise your data by design. That means if we were ever compelled to release private data, we'd have no data to give. You can tell us when to require a PIN to open Tenta, or even completely disable it. To edit your PIN settings, head over to the Security & Data Settings section in Global Settings.